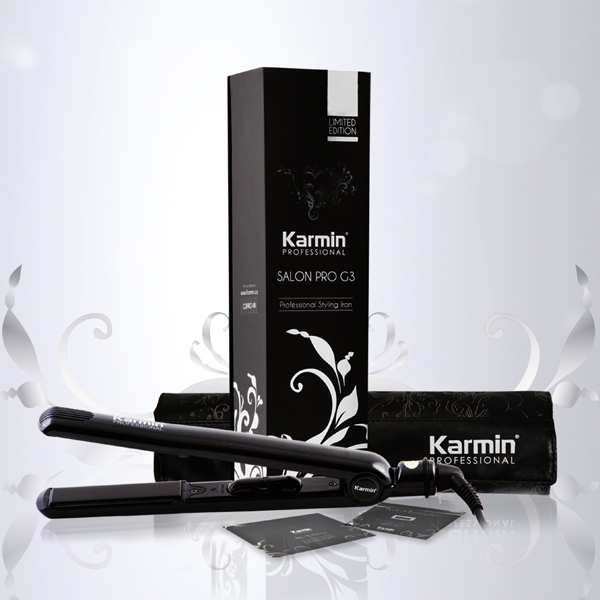 The latest Flat Iron from Karmin, the G3 Pro model is one of the best we have seen yet! This already top selling iron was upgraded to include several new features including a higher maximum temperature, dual voltage capabilities, automatic shutoff, and even includes a new roll up style traveling case/heat mat combo. Whether you choose to curl, flip, straighten or add volume and body, the Karmin G3 Professional is the only styling iron you will ever need. The Karmin G3 Salon Pro is perfect for both professional use as well as at home with features such as flash quick heating, a tangle-free swivel cord and temperature settings for all hair types. Styling your hair is virtually effortless and results are smooth, silky, shiny hair. This ultra glossy and super sleek styling iron is available in Black, Pink, and White to fit all styles! Great for thin hair! Very satisfied! I had a Chi Flat iron for such a long time, I was nervous about getting a different brand straightener. I was looking for the best flat iron for thin,curly hair and this came up as the top one. I am very satisfied with this straightener. My hair has a silky look to it after every use. I purchased the Karmin G3 after researching and reading many reviews. As soon as it arrived I plugged it in and waited 5 minutes for it to heat. I began on one strand of hair. It did not seem hot enough and did not straighten my hair. I waited 15 minutes with the same result and then 30 minutes still not very hot and did not straighten my hair. I contacted customer service and told them I wanted to send it back for a replacement thinking there was a problem with the Karmin. Another one was sent and the results were the same as the first one. Again I contacted customer service and they gladly said they would refund my money once I sent it back to them. My previous flat iron was a Sedu and it worked perfectly on my hair. I wanted a thin flat iron so I could curl my hair, but have decided to go back to the Sedu with wide plates. i bought it for my wife's birthday, and from what she told me, considering that she used to be a hair stylist, she said it works good. This straightener is awesome!! You can't go wrong with this model. I used my old one until it literally gave out and I was reluctant to try a new one and was nervous that it wouldn't perform as good. Well this one is my new favorite. It delivers and so much more. I like it better than my last one. You just have to try it. It even makes my hair feel softer. This is a very good product. It turns my naturally curly hair into very silky, straight hair. Arrived in a zippered case that was packaged in a very sturdy box inside a shipping box. I've re-purposed the inner box to hold paint brushes. So far this has been an excellent investment. The pricing was competitive, and this site was easy to navigate. I would purchase from them again. What does it mean to have tourmaline-ceramic plates? Flat irons are made using a variety of materials but the most common are ceramic, titanium and a tourmaline ceramic blend. The pure ceramic plates are the lowest quality and generally the least expensive. These kinds of straighteners are sold at discount stores for less than $50.00. Titanium plates are higher quality and are perfect for every-day use. Tourmaline and ceramic blended plates are the highest quality available, and provide the best styling results. They heat evenly and quickly and lock in moisture as they straighten the hair. The smooth material allows for snag-free straightening and styling. 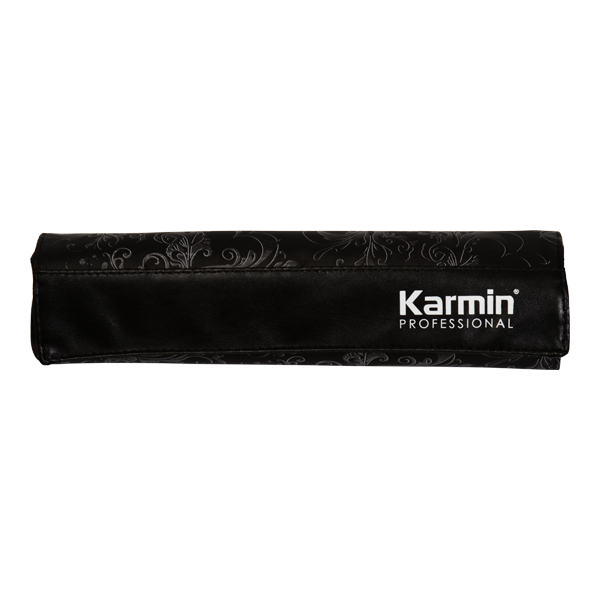 What is the temperature range of the Karmin G3 Salon Pro? 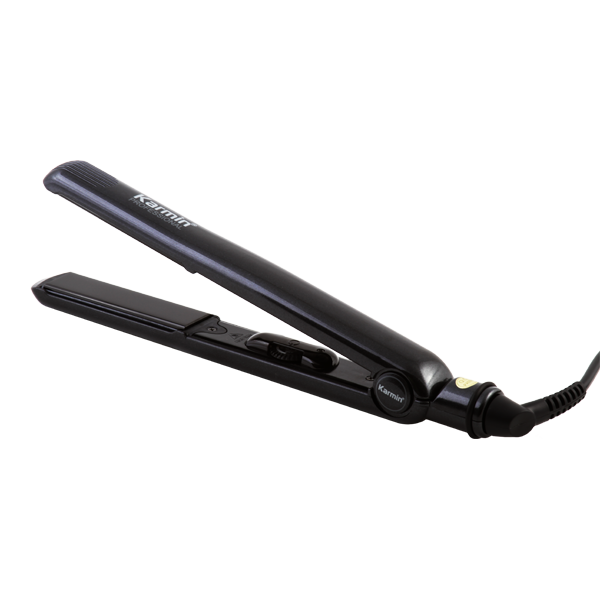 The 2012 Model Karmin G3 Flat Iron ranges from 250°F to 460°F. The average person requires a temperature of 375°F to 395°F to achieve the best results, but having an adjustable temperature allows the Karmin G3 to meet the needs of every hair type and length. 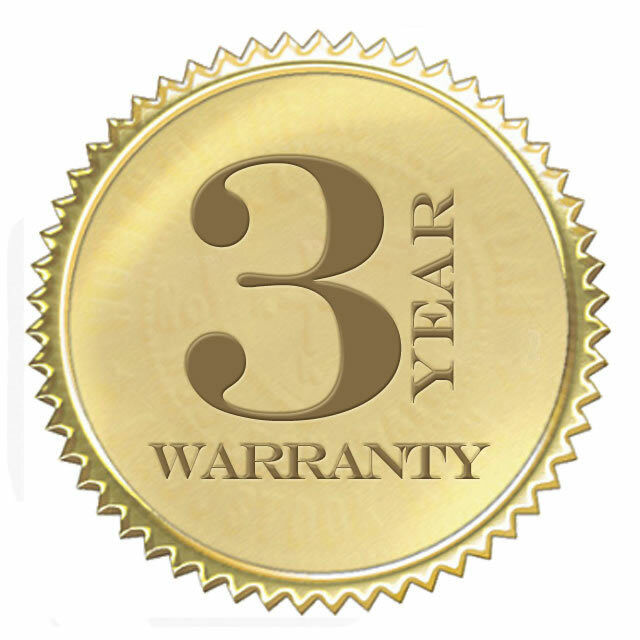 Karmin, the manufacturer, provides a 3-Year Warranty on the Karmin G3 Hair Straightener. They are guaranteed to be protected from defects due to faulty workmanship or material. A proof of purchase date is required and the guarantee is no longer valid if the damage was caused due to carelessness of the customer or work done by an unauthorized person. Please contact Karmin directly at www.karmin.ca for more information. How can I clean the plates of my Karmin G3? What is the difference between the Karmin Titanium and the Karmin G3 products? The primary difference in these products is the material from which the plates are made. The Karmin Titanium irons are made from titanium while the G3s are made from a tourmaline ceramic blend. The tourmaline-ceramic plates are of slightly higher quality than the titanium. In addition, the G3 hair straighteners come in three colors (black, pink and white) and have a slightly higher temperature range. One final difference is that the G3 flat irons come with a free carrying case/heat mat.